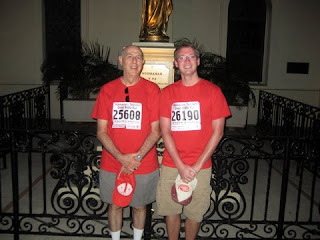 Even though my family and I were too lazy to get up at the crack of dawn for a very worthy cause, our prayers were with all the runners. Here are some links to photos taken on President's Day. 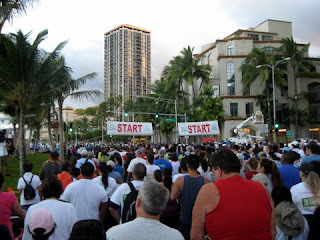 My family will be participating next year...God willing. One thing I noticed when folks commented, it was that Bishop Silva was fast!!! 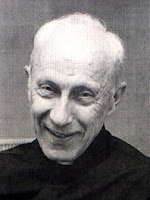 If they are not confessed, sins reach the point of producing the death of the soul, and separate us from God, who is ready to purify us and to "restore us to communion." The gospel episode of the leper healed by Jesus was highlighted by Benedict XVI today, for the purpose of once again recommending to the faithful the practice of sacramental confession. Blessed Damien will be canonized on Sunday, October 11, 2009, in Rome by His Holiness Pope Benedict XVI. Bishop Larry Silva, Bishop of Honolulu, was present in Rome for the official announcement on Saturday, February 21st. As you may know, today at 10 a.m. HST, a press conference will be held. 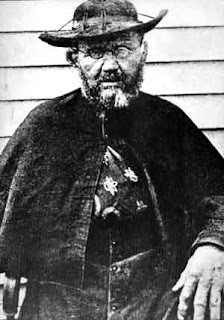 Bishop Silva will be announcing Father Damien's canonization date via telephone from Rome. In related news, there is a move by a group to raise funds for a memorial dedicated to the patients at Kalaupapa. 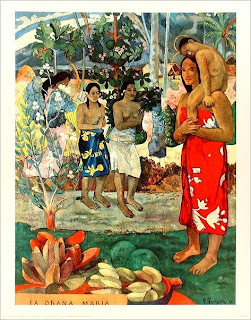 It is interesting that this sacred land (Kalaupapa and Kalawao) to both Hawaiians, Catholics, etc., and who will honored to have to two soon-to-be canonized saints, is state land. 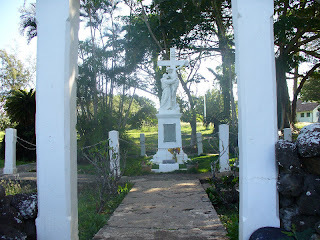 It is unknown what the future is for this small section of Moloka'i, but pray that the Hawaii State government shows it the honor and respect it truly deserves and has earned and for a long time now has been a site of pilgrimages. This video was a nice surprise! 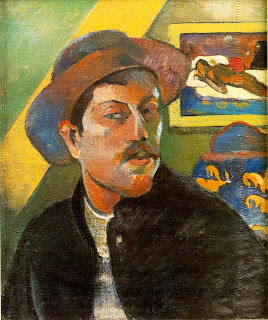 This week we feature Post-Impressionist Paul Gauguin. 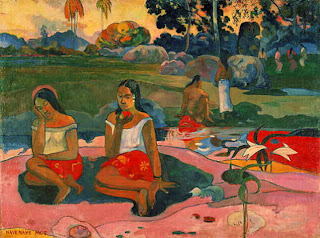 He was a French artist whose famous works were painted in Tahiti. 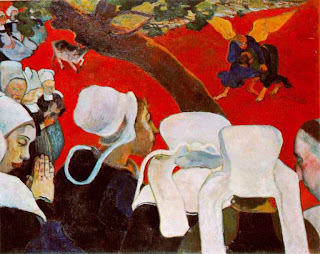 I have selected the religious works done by Gauguin. You can read more about his religious themed paintings here. This video has already made the rounds in the Catholic blogosphere. I finally had the time to sit down and view it. Boy it bring a smile to my face. Thanks to Sue for sending me the link. 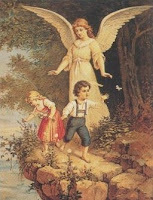 St. Padre Pio would send his guardian angel to his spiritual children...May I suggest that you send yours to Obama's (and his wife's) guardian angel.....To tweak his (and her) conscience on abortion and all other issues that are not God's will.....If his mind is changed all other things will follow like a domino affect. If there is one part of the spiritual life that St. Ignatius stressed, it was the daily--and even twice daily--examination of conscience. As we read the Spiritual Exercises, we may be overwhelmed by the minute detail of St. Ignatius' treatment of what he calls the particular examination of conscience. At the same time, he is careful to provide, "Some Notes on Scruples." It is very important, therefore, that we form a clear and correct conscience. This means that we cultivate a sensitive judgment which is alert to the least offense against the Divine will and, at the same time, protect ourselves against the wiles of the evil spirit. "The enemy," says St. Ignatius, "considers carefully whether one has a lax or a delicate conscience. sensitive in order to disturb and upset it more easily. 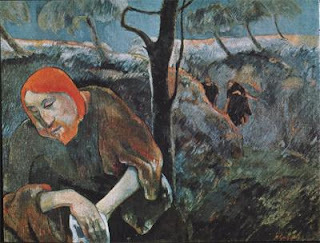 Thus, if he sees that one will not consent to mortal sin or venial sin, or even to the appearance of deliberate sin, since he cannot cause him to fall in a matter that appears sinful, he strives to make the soul judge that there is a sin, for example in a word or passing thought, where there is no sin" -Spiritual Exercises 349. It is valuable to reflect on this tactic of the evil spirit before we offer some practical norms for making our daily examination of conscience. Why? Because otherwise, we are liable to overlook the importance of a daily inventory of our moral conduct for fear of becoming scrupulous. There is such a thing as growing in prudent sensitivity of conscience, without becoming a victim of the "enemy" as St. Ignatius calls him. It is characteristic of God and His angels, when they act upon the soul, to give true happiness and spiritual joy and to banish all the sadness and disturbances which are caused by the enemy. Discernment of Spirits, II, 1). no matter how pious the source of the worry or anxiety may be. The key to applying this principle is that, before God, I honestly want to do His will even though through weakness, I may fail to live up to my resolutions. One basic virtue on which we should daily examine ourselves is peace of soul. We should ask ourselves, "Have I given in to worry or anxiety?" "Have I allowed myself to get discouraged?" A good practice is to pronounce the name, "Jesus," when we find ourselves getting despondent, or say some short aspiration like, "My Jesus, I trust in you," whenever we become dejected over something. Before applying the particular examen to my own spiritual life, it is well to first ask myself, "What are the virtues that I know from experience I most need to develop?" The reason why this question should first be answered is that no two of us are equally prone to commit the same kind of sins. Nor are we personally always tempted in the same direction. There is wisdom in first knowing enough about myself, to be able to get to the root of my own moral weakness. Otherwise, I may be ignoring what really needs attention in my spiritual life and concentrating on what is not so necessary for me at this time in my service of God. am being "negative" in my pursuit of holiness. especially wants us to grow in virtue. 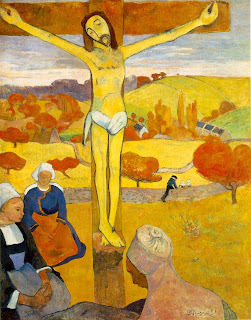 1 Do I make an honest effort to grow in the virtue of faith by daily mental prayer on the mysteries of the faith as revealed in the life of Jesus Christ? 2. Do I make at least a short act of faith every day? 3 Do I pray daily for an increase of faith? 4 Do I ever tempt God by relying on my own strength to cope with the trials in my life? truths of my Catholic faith? 6 What have I done today to externally profess my faith? 7 Have I allowed human respect to keep me from giving expression to my faith? 8. Do I make a serious effort to resolve difficulties that may arise about my faith? contrary to what I know is to be believed? 10. Have I helped someone overcome a difficulty against the faith? 1 Do I immediately say a short prayer when I find myself getting discouraged? 2 Do I daily say a short act of hope? 3 Do I dwell on my worries instead of dismissing them from my mind? 4 Do I fail in the virtue of hope by my attachment to the things of this world? 5 Do I try to see God's providence in everything that "happens" in my life? 6 Do I try to see everything from the viewpoint of eternity? 7 Am I confident that, with God's grace, I will be saved? 9. Do I try to combine every fully deliberate action with at least a momentary prayer for divine help? 10. How often today have I complained, even internally? 1 Have I told God today that I love Him? 2 Do I tell Jesus that I love Him with my whole heart? 3 Do I take the occasion to tell God that I love Him whenever I experience something I naturally dislike? 4 Have I capitalized on the difficulties today to tell God that I love Him just because He sent me the trial or misunderstanding? 5 Do I see God's love for me in allowing me to prove my love for Him in the crosses He sent me today? 7. Have I failed in charity by speaking unkindly about others? 8 Have I dwelt on what I considered someone's unkindness toward me today? 9. Is there someone that I consciously avoid because I dislike the person? 10. Did I try to carry on a conversation today with someone who is difficult to talk to? 11. Have I been stubborn in asserting my own will? 12. How thoughtful have I been today in doing some small favor for someone? 13. Have I allowed my mood to prevent me from being thoughtful of others today? 14. Am I given to dwelling on other people's weaknesses or faults? 15. Have I been cheerful today in my dealings with others? 16. Do I control my uncharitable thoughts as soon as they arise in my mind? 17. Did I pray for others today? 18. Have I written any letters today? 19. Have I controlled my emotions when someone irritated me? 20. Have I performed any sacrifice today for someone? 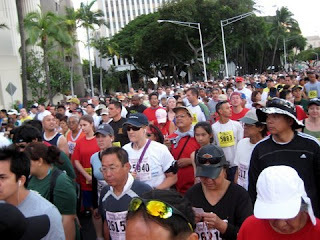 Mahalo to Debra Anne for sharing this with me. Oh my goodness! I see I have a lot to reflect on. Thank you Fr. Hardon! Please pray for us. 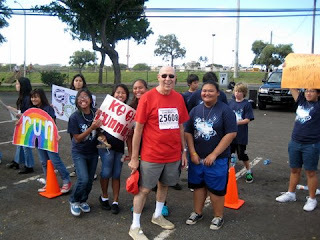 Mahalo to The Ironic Catholic for the laugh. This whole thing makes me sick! You have to hand it to the government for the sneaking way the will pull off their true agenda. God help us. Petition to Withhold Holy Communion from CINOs. Pewsitter has started a Petition to Withhold Holy Communion from prominent dissident Catholics. I have not signed the petition...yet. I am also not asking any of my readers to do so either. That is entirely up to you. Although, I feel it is scandalous that these public "Catholic" figures continue to thumb their nose at the Catholic church, and still have the nerve (I wanted to use a well-known Yiddish term here but I think it is a bad word), to go up to receive our Lord's Body in Holy Communion, ... do we have the right to petition our bishops to act? I really don't know. I would think the bishops are well aware how they have to follow the church's teachings and guidelines for dealing with unrepentant Catholics, without the laity getting involved. I know my own husband is becoming very outspoken in calling for these "Catholics'" excommunication. But as far as I am know, the Church isn't run that way. The miraculous healing of a Hawaiian woman with cancer is leading to the canonization of a priest known for his ministry on the island with lepers relegated to a sequestered community. My mom always told us he died a Catholic.